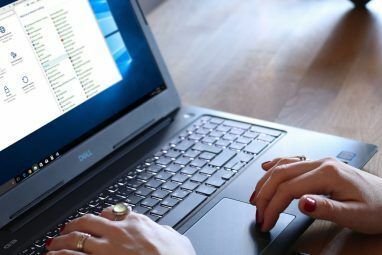 For many years, a password was the only way to log into Windows 4 Common Ways To Password Protect Your Windows User Account 4 Common Ways To Password Protect Your Windows User Account Protecting your computer with a password should be common practice, especially if many people potentially have physical access to it. Windows provides several levels on which you can set passwords to lock your user account.... Read More . Starting with Windows 7, some machines supported fingerprint scanners, but a traditional password has dominated until Windows 8 and 10. In Windows 10, Microsoft provides several ways to authenticate your account beyond a password. These include facial recognition and fingerprint scanning How to Log Into Windows 10 With Finger Scans & Facial Recognition How to Log Into Windows 10 With Finger Scans & Facial Recognition Instead of using a password or PIN, you might be better off using fingerprint scans or facial recognition! But there are a few risks associated with them. Here's what you need to know. Read More , but those aren’t available on some machines. Anyone can use a PIN (personal identification number) to protect their account, though. Let’s take a look at the differences between a PIN and password, how to set them up, and which you should use. You can sign into Windows 10 5 Tips for Managing Windows User Accounts Like a Pro 5 Tips for Managing Windows User Accounts Like a Pro Windows user accounts have evolved from isolated local accounts to online accounts with various privacy challenges. We help you sort out your accounts and find the settings that work for you. Read More in two different ways. You can use either a local account (tied only to that PC) or a Microsoft account. There are pros and cons to signing in with a Microsoft account The Pros and Cons of Using a Microsoft Account with Windows The Pros and Cons of Using a Microsoft Account with Windows A single Microsoft Account allows you to log into a wide range of Microsoft services and apps. We show you the pros and cons of using a Microsoft Account with Windows. Read More . It’s required to use many Microsoft services, and syncs your preferences across devices. If you use a Microsoft account to sign into Windows, your PC password and your Microsoft account password are identical. 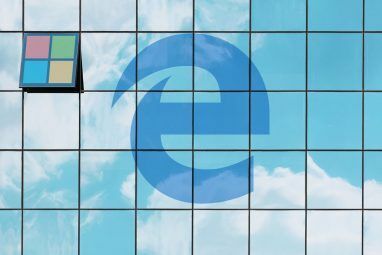 Depending on how deep you are into Microsoft’s ecosystem Windows on Every Device - This Is How Microsoft Is Realizing Its New Ecosystem Windows on Every Device - This Is How Microsoft Is Realizing Its New Ecosystem Windows was never gone, but it's about to make a comeback nevertheless. You can currently observe how Microsoft is getting its flagship up to speed. Last week on Microsoft... Read More , this could also be your Skype, Xbox, or Outlook password. If you use a local account, you can decline to set a password (which is terribly insecure Change Your Bad Habits & Your Data Will Be More Secure Change Your Bad Habits & Your Data Will Be More Secure Read More ). Assuming you set a password, it’s applied for only that machine and is not tied to any Microsoft resources. 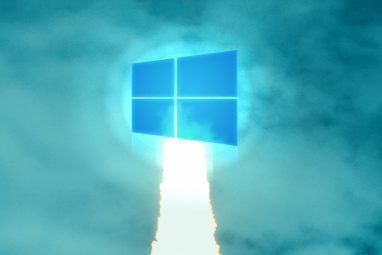 We’ve shown how to convert a Microsoft login to a local account How to Delete Your Microsoft Account & Create a Local Windows 10 Login How to Delete Your Microsoft Account & Create a Local Windows 10 Login Have privacy concerns about using a Microsoft Account in the cloud? Here's how to create a local Windows 10 login account instead. Read More if you’re interested. You can also change the email address associated with your Microsoft Account How to Change the Login Email Address for Windows 10 Microsoft Accounts How to Change the Login Email Address for Windows 10 Microsoft Accounts If you're using a Microsoft account to sign into Windows 10 but want to change its email address, you can do so in just a few moments with your account settings. Read More . No matter if you use a Microsoft or local account, you can supplement your password with a PIN. A PIN (don’t say “PIN number”) is a series of digits that’s easier to type than a full password, especially on a touch-screen device. Microsoft requires that your PIN be at least four digits, but you can make it as long as you like. How Do I Set These Options Up? For either option, you can access your password and PIN settings by visiting the Settings app in Windows 10. Type password into the Start Menu to open the Sign-in options tab. 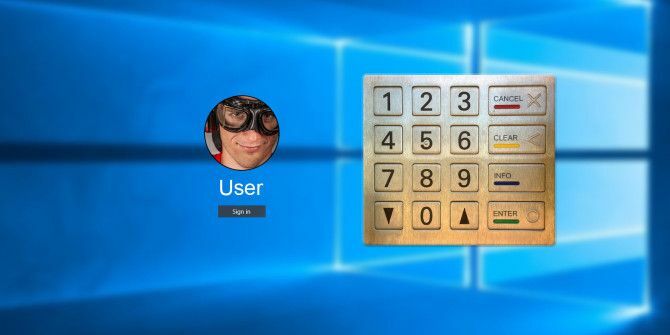 Here, you’ll find every setting you could need on passwords, including Windows Hello and picture passwords. To change your current password, click the Change button under Password. When using a Microsoft account, this will change your password for all its services. If you’re using a local account, this only changes that password. You can add a PIN by clicking Add under the PIN header. You’ll likely be asked to confirm your Microsoft account password before setting a PIN if applicable. Four digits is the minimum, but for security you should choose at least six. Of course, you shouldn’t set any old PIN here. Don’t pick something stupid Dissecting the 25 Worst Passwords in the World [Weird & Wonderful Web] Dissecting the 25 Worst Passwords in the World [Weird & Wonderful Web] There are many simple ways to create easy to remember, but difficult to break passwords. But not everyone gets it. As this list of the weakest passwords prove, it is a large tribe. Read More , like 0000 or 1234, and don’t choose an obvious date like your birthday. You should also avoid duplicating any other important PINs, such as banking PINs. For best results, choose a random set of numbers and commit them to memory 6 Tips For Creating An Unbreakable Password That You Can Remember 6 Tips For Creating An Unbreakable Password That You Can Remember If your passwords are not unique and unbreakable, you might as well open the front door and invite the robbers in for lunch. Read More . Protecting an account, like most security matters 7 Ways to Secure Your Digital Data, According to Expert Shaun Murphy 7 Ways to Secure Your Digital Data, According to Expert Shaun Murphy Data security and privacy is increasingly difficult to understand. How can we trust our data and messages are secure? To understand data security loopholes and how we can avoid them, we spoke with Shaun Murphy. Read More , comes down to a trade-off between convenience and security. A PIN of 1234 is super convenient, but completely insecure. Likewise, a 100-digit PIN won’t be cracked for years, but it’s a bit inconvenient to enter. When used correctly, however, a solid PIN is a great compromise between the two values. It’s important to note that when you set a PIN in Windows 10, it applies only to that device. Thus, if you set a PIN on your home PC and someone were to steal it, they couldn’t access your account unless they had physical access to your device. In addition, your PIN can’t sign into any of your Microsoft accounts like your password can. Thus, using your Microsoft password to sign into your PC is more of a risk 5 Security Tips to Consider When Using a Microsoft Account 5 Security Tips to Consider When Using a Microsoft Account You can't use much of the new Windows 8 user interface without a Microsoft account. The account you for logging into into your computer is now an online account. This raises security concerns. Read More . If you have to type that password to log in every time, it might tempt you to make it simpler and weaker. Should someone steal your password, they could also log into your Outlook email, your Xbox account, or any number of other Microsoft services. If you’ve used a password manager 5 Password Management Tools Compared: Find the One That's Perfect for You 5 Password Management Tools Compared: Find the One That's Perfect for You Choosing some sort of password management strategy to deal with the huge amount of passwords we need is crucial. If you're like most people, you probably store your passwords in your brain. To remember them... Read More to set a secure password for your Microsoft account, it’s probably much too complex to type every time you log in. Logging in with a PIN solves this problem — you just need to make sure it’s a good one. Our recommendation for most people is to set a strong password for your Microsoft account, and use a good PIN for signing into your computer. This keeps your email and other resources protected, while also allowing you to conveniently sign into your PC. There’s really no downside to setting a PIN. Don’t forget that you can boost the protection on your Microsoft account with two-factor authentication Lock Down These Services Now With Two-Factor Authentication Lock Down These Services Now With Two-Factor Authentication Two-factor authentication is the smart way to protect your online accounts. Let's take a look at few of the services you can lock-down with better security. Read More for even more security. Those using a local account can also set a PIN, and the same rules apply. Since a local account only applies to your particular machine, a PIN is simply an alternate means of logging in. It doesn’t offer the benefits of obscuring your Microsoft account password. Note that you can’t use your PIN when connecting to your PC via Remote Desktop How to Use Remote Desktop Connections Like an IT Pro How to Use Remote Desktop Connections Like an IT Pro If you work in the IT department of a company that has an internal network, the odds are pretty good that you've had to make use of Remote Desktop once or twice. Remote Desktop is... Read More , and you can’t enter a PIN to log in using Safe Mode How to Boot Into Windows 10 Safe Mode How to Boot Into Windows 10 Safe Mode Safe Mode is an inbuilt troubleshooting feature that allows you to fix issues at the root, without non-essential applications interfering. You can access Safe Mode in various ways, even if Windows 10 no longer boots. Read More . Be sure you still have your standard password handy. Ready to Use a PIN? That’s all you need to do, and your PIN is ready! Next time you log into Windows, the system will prompt you for your PIN, not your password. To sign in with your password instead, look for the Sign-in options link below the text entry field. Your Windows 10 PIN code is more secure than password because it's part of 2-factor authentication with the hardware itself. If you need to change your PIN, you can return to the Sign-in options menu of the Settings to do so. You can also click I forgot my PIN here to reset it. You’ll be prompted to enter your account password to reset the PIN. Looking to secure your phone, too? Check out the pros and cons of using a fingerprint or PIN to lock your smartphone Should You Use a Fingerprint or a PIN to Lock Your Phone? Should You Use a Fingerprint or a PIN to Lock Your Phone? Should you secure your phone with a fingerprint or a PIN? No one is likely to guess your fingerprint, but is it really more secure? Could a PIN be more secure? Read More . Are you using a Microsoft or local account on your system? Do you have a PIN set on your PC account? Let us know if you added a PIN after reading this article! Explore more about: Microsoft Account, Password, Windows 10. Pins are "local" So shouldn't' require internet access. "Internet access is required for setting a PIN"
Windows PINs are not restricted to numbers, one can use letters and symbols too. However making the too complex defies the ease of use aspect. Thank you. Paired Nexus 6 to Surface Book in a snap! "Just" a spelling mistake, but maybe we should all get together and play Name That Tune = [not my link] "pros and cons to singing in with a Microsoft account." LOL, thanks; a special kind of voice recognition, perhaps. Thanks for the catch — I've asked someone to fix this.